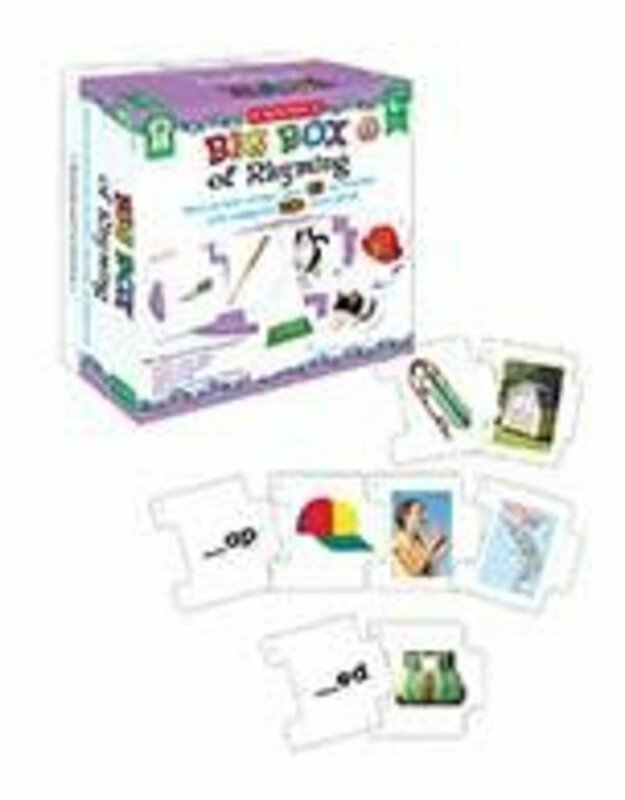 Build vocabulary, improve rhyming skills, and practice identifying initial and final consonant sounds with the Big Box of Rhyming Game. This fun, interactive game features pictures of 45 word families and also helps boost auditory discrimination of vowel sounds. 250 puzzle pieces measuring 2.2” x 2.2” each are included. --Key Education products are intended to engage and educate young and special learners, as well as assist teachers in building a strong and developmentally appropriate curriculum for these children. The product line comprised of teacher/parent resource books, photographic learning cards, and other activity- and game-oriented materials are designed to assist in Unlocking the Potential in Every Child.